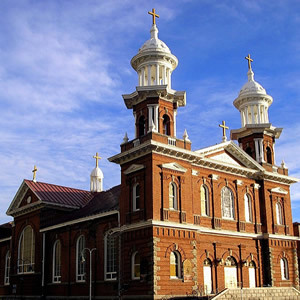 Although Nevada was the last of the 48 contiguous states to embrace its own diocese, the Church has a long and colorful history within the state. Many flags and jurisdictions dominated the area that eventually became the Diocese of Reno. Originally, the State of Nevada was under the jurisdiction of Mexico and formed a part of the Diocese of Sonora. From 1840 to 1846, the area was under the jurisdiction of Bishop Garcia Diego y Moreno, first Bishop of California. Shortly thereafter, it became a part of the Diocese of Monterey, which in 1853, was divided, and its Bishop, the Most Reverend Sadoc Alemany, became first Archbishop of the new Archiepiscopal See of San Francisco, which included Washoe County. By 1860, another division became necessary. The area was divided so that the portion from the Pacific Ocean to the west boundary of Utah and north of the thirty-ninth parallel remained under the jurisdiction of San Francisco. In 1868, the Vicariate Apostolic of Marysville was raised to the dignity of a Diocese and its See was changed to Grass Valley under Bishop O'Connell. Shortly thereafter, more territory was added to the Diocese from the Archdiocese of San Francisco including the City of Sacramento. During this period, Bishop Patrick Manogue of Virginia City, Nevada, had been made Co-Adjutor Bishop of Grass Valley with right of succession; and soon after succeeding in 1884, he transferred his See to the City of Sacramento in 1886. With strong, steady growth within the State of Nevada, it became necessary to revise the boundaries from east-west to north-south. Seven counties - Elko, Lander, Eureka, White Pine, Nye, Lincoln, and later, when it came into existence, Clark, were transferred to the Diocese of Salt Lake City, which had been established January 20, 1891. The remaining counties, Esmeralda, Mineral, Lyon, Churchill, Douglas, Ormsby, Storey, Washoe, Humboldt, and later when it was established, Pershing, remained in the Diocese of Sacramento. This alignment continued until the establishment of the Diocese of Reno on March 27, 1931. The Diocese of Reno was founded almost by chance because of a visit to San Francisco by Chicago's Cardinal Mundelein. During a lengthy ride through the vast expanses of the West, the Cardinal asked the location of the train at that particular point. When informed that the train was traveling through Nevada, he asked who served as Bishop for this huge area. He was astonished to learn that of all the 48 states, Nevada was the only one without its own Bishop. Upon his return to the Archdiocese of Chicago, Cardinal Mundelein soon rectified the situation. With the urging of Cardinal George Mundelein, Archbishop of Chicago, Pope Pius XI established the Diocese of Reno on March 27, 1931. It was renamed as the Diocese of Reno-Las Vegas by Pope Paul VI, October 13, 1976. On March 21, 1995 Pope John Paul II changed it back to the Diocese of Reno while splitting Las Vegas, Nevada into a new diocese. Pope Pius XI created the Diocese of Reno on March 27, 1931, with St. Thomas Aquinas as the Cathedral Church. The new Diocese comprised the entire state of Nevada. Its area of 110,540 square miles made it the largest ecclesiastical jurisdiction in the lower forty-eight states. The western half of the Diocese had been part of the Diocese of Sacramento and the eastern part, that of Salt Lake City. There have been seven bishops appointed to the diocese since its establishment in 1931. Thomas K. Gorman, D.D., D.Sc. Hist. Robert J. Dwyer, D.D., Ph.D.
Norman F. McFarland, D.D., J.C.D. Phillip F. Straling, D.D., J.C.D. Father Thomas K. Gorman, a priest of the Archdiocese of Los Angeles and editor of the diocesan newspaper, The Tidings, was named first Bishop. At that time, Nevada's 91,058 citizens, along with everyone else in the United States, were facing the Great Depression. Bishop Gorman could call on thirteen priests to serve the entire Diocese with its 8,500 Catholics. Reno, Carson City, and Las Vegas each had a parish; the other parishes served Nevada's smaller towns. For twenty-one years, Thomas Gorman worked tirelessly, founding new parishes, fostering Catholic Life, seeking vocations, and striving to make the Diocese self-sufficient. 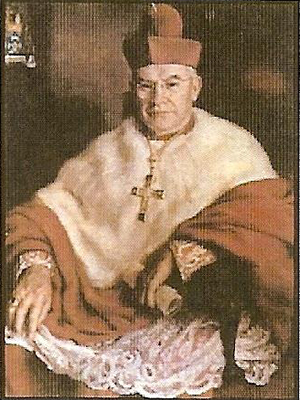 Gorman was named Co-Adjutor Bishop of Dallas-Fort Worth in 1952, succeeding to the See in 1954. 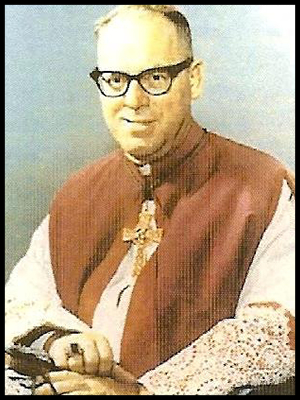 He retired in 1969, and died August 16, 1980, just one year short of the Golden Jubilee of the Diocese. Monsignor Robert J. Dwyer, who was at the time Rector of the Cathedral in Salt Lake City, succeeded Bishop Gorman. When the newly consecrated Bishop arrived on August 19, 1952, Nevada was experiencing a period of great growth, especially in the Las Vegas area. On September 27, 1957, the first Diocesan Synod was convened by the Bishop at the Cathedral, under the guidance of Father Joseph F. Linde. Bishop Dwyer oversaw the construction of new schools and churches, as well as the renovation of St. Thomas Aquinas Cathedral itself. Dwyer earned a national reputation as both a writer and speaker. He was appointed Archbishop of Portland, Oregon in December 1966. He retired from the See in 1974, and died on March 24, 1976. Reno's third Bishop M. Joseph Green, came from Lansing, Michigan. Bishop Green sought to implement the reforms of Vatican Council II throughout the Diocese. He instituted the Catholic Services Appeal, the annual fund raising effort that continues to support diocesan services today. Traveling widely, he successfully attracted numerous young men to Nevada to serve as priests. He fostered a spirit of ecumenism toward other religious groups and was active in civic affairs. A series of illnesses took their toll, and Bishop Green retired to Michigan in 1974. He died on August 31, 1982. 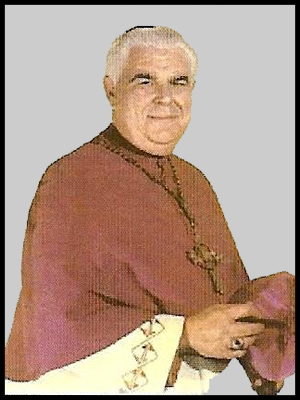 Bishop Norman F. McFarland, Auxiliary Bishop of San Francisco, came to Nevada in the midst of a financial crisis for the Diocese in April, 1974. He was named Apostolic Administrator of the Diocese in December of that year. 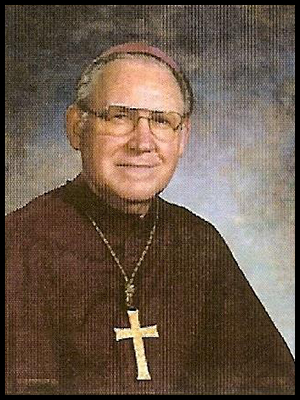 He was appointed Ordinary of the Diocese of Reno on February 10, 1976. He struggled to bring financial stability with the initial collegial assistance of the American Bishops. Indefatigable as a worker, he visited every parish and mission in the Diocese on a regular basis. Bishop McFarland petitioned Pope Paul VI to re-designate the Diocese of Reno as the Diocese of Reno-Las Vegas with Guardian Angel Shrine in Las Vegas as Co-Cathedral This official act occurred in October, 1976. In 1981, the Church in Nevada proudly celebrated its Jubilee marking 50 years as a Diocese and marking, as well, more than a century and a quarter of Catholic life in Nevada. On December 29, 1986, Bishop McFarland was appointed to the Diocese of Orange, California and was installed as second Bishop of Orange on February 24, 1987. He retired June 30, 1998. He died on April 16, 2010. On June 9, 1987, Pope John Paul II named Bishop Daniel F. Walsh, Auxiliary Bishop of the Archdiocese of San Francisco as fifth Bishop of Reno-Las Vegas. His Canonical Installation was celebrated at Guardian Angel Cathedral, Las Vegas, on August 6, 1987, before Most Reverend Pio Laghi, Apostolic Pro Nuncio to the United States, with Archbishop John R. Quinn, Metropolitan Archbishop of San Francisco, as the Installing Prelate. He established a Chancery Office and residence in Las Vegas to be more available to the needs of the Church in Southern Nevada where 58% of the Catholic population lived. He made many pastoral visits to all the parishes throughout the Diocese. In his first seven years as Bishop, he established several new parishes. The Shrine of the Most Holy Redeemer in Las Vegas was established to service the tourists and visitors. Numerous building projects were underway to keep up with the growth in the State. Ministry to the growing Hispanic population was a center of focus for Bishop Walsh. Because of the growth in Nevada and the great distance between the communities of Reno and Las Vegas, the Holy Father Pope John Paul II decided to divide the Diocese of Reno-Las Vegas into two separate dioceses: The Diocese of Reno and the Diocese of Las Vegas. Bishop Walsh became the first Bishop of Las Vegas. At noon, Rome time, on March 21, 1995, Pope John Paul II announced the appointment of Most Reverend Phillip F. Straling as the sixth Bishop of the Diocese of Reno. Bishop Phillip F. Straling was born on April 25, 1933. He was educated at Immaculate Heart and St. Francis Seminaries in San Diego, California. He was ordained for the Diocese of San Diego on March 19, 1959. He served in various parishes in that area and spent twelve years as campus minister for San Diego State University. He was ordained First Bishop of the newly created Diocese of San Bernardino November 6, 1978, where he was serving as pastor of Holy Rosary Church in that city. In addition to establishing new parishes and helping small parishes build larger and newer churches, he also established a Lay Ministry Program and a Diaconate Program in English and in Spanish. 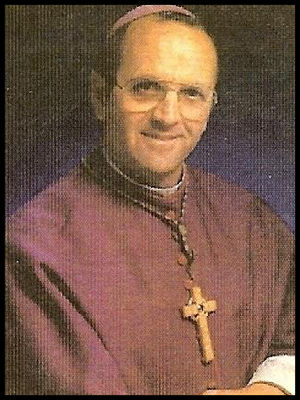 Bishop Straling was installed as Bishop of the Diocese of Reno June 29, 1995. While in the Diocese of Reno, Bishop Straling established a Lay Ministry Formation process and many other programs. He established a new parish, St. Rose of Lima, in south Reno, and elevated the Mission of St. Ann’s in Dayton to a parish. In 2001 the Diaconate Formation process was established. In the spirit of collaborative ministry, the Diaconate and Lay Ministry Formation programs were held together, with specialized training taking place. Many people and parishes have been improved because of Bishop Straling’s emphasis on lay ministry and ongoing adult faith formation. Phillip Francis Straling officially retired on June 21, 2005, but continued to serve as apostolic administrator of the diocese. Randolph Roque Calvo, D.D., J.C.D. 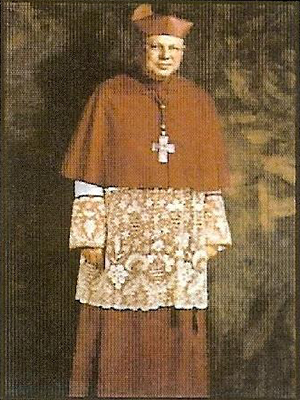 On December 23, 2005, Pope Benedict XVI appointed Randolph Roque Calvo, D.D., J.C.D. of the Archdiocese of San Francisco as the seventh Bishop of Reno. Bishop Calvo was installed and ordained to the episcopate on February 17, 2006, by George Hugh Niederauer, Archbishop of San Francisco. 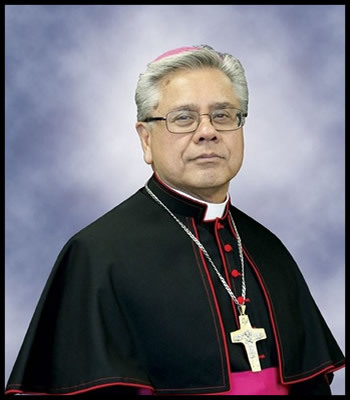 Bishop Calvo was born on August 28, 1951 in Agana, Guam. Bishop Calvo received his B.A. at St. Patrick’s College in Mountain View, California in 1973; his M.Div. at St. Patrick’s Seminary in Menlo Park, California in 1977 and was ordained a priest of the Archdiocese of San Francisco. After serving in two parishes as parochial vicar, Bishop Calvo was sent to study canon law in Rome. In 1986, he received a doctorate in canon law from Pontifical University of St. Thomas Aquinas in Rome. From 1987 to 1997, he headed the canon law department as judicial vicar of the Archdiocese of San Francisco. In 1996, he was elected and served as president of the Canon Law Society of America, a professional association based in Alexandria, Virginia. He has served as a member of the Archdiocese of San Francisco’s College of Consultors, the Council of Priests, the Priest Personnel Board, the Stewardship Council, the Independent Review Board, the Board of Trustees of the Roman Catholic Welfare Corporation, and the Board of Trustees of St. Patrick’s Seminary. He has been a lecturer in Pastoral Studies at St. Patrick’s Seminary and an instructor for the Institute on Matrimonial Tribunal Practice at the Catholic University of America in Washington, D.C.
Bishop Calvo currently serves on Task Force on Cultural Diversity, and the Sub-committee on Asian/Pacific Islanders of the United States Conference of Catholic Bishops.